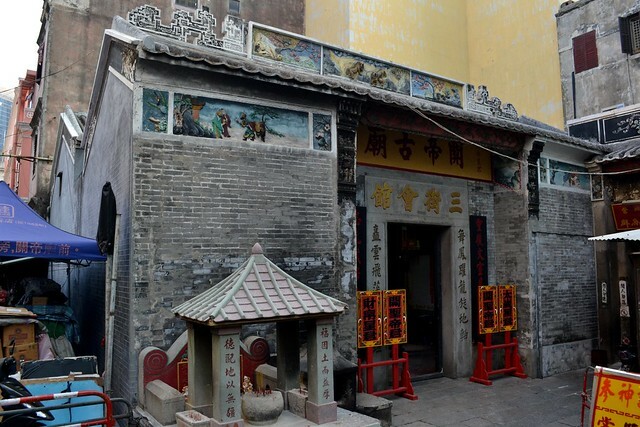 This temple, known also as Kuan Tai, is located in front of St. Dominic's Market near Senado Square, in the traditional commercial centre of Macao, and it was built during the XVIII century. 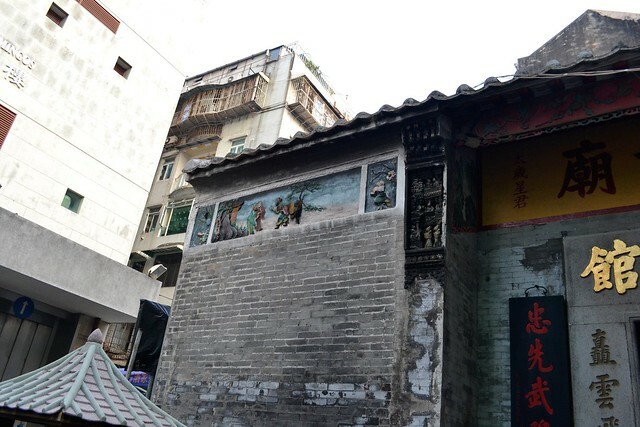 This temple, known also as Kuan Tai, is located in front of St. Dominic’s Market, near Senado Square in the traditional commercial centre of Macao, built during the XVIII century. Originally it was a meeting point for the Chinese bazaar merchants and other business representatives during the Qing dynasty, established in the neighbourhood of the temple, specifically in the streets Rua dos Mercadores, Rua das Estalagens and Rua dos Ervarios. Its importance made the Magistrate of Xiangshan Country, then in charge of Macao, use the place to publish the bulletin of the Qing dynasty and later, the official edicts from Chinese Mainland authorities, as well as in other temples in Macau. This temple has been related to business since its early days, so it’s logical that it is considered the predecessor of the Chinese Chamber of Commerce, which was formally established in 1913 and thus, relieving this temple to being a meeting point for business organizations, but it kept being a place for worshipping the deity Kuan Tai. Kuan Tai (關帝) is the Anglicized spelling of Guan Yu (who also has other names), an important general during the Three Kingdoms period, being now worshipped both in Taoism and Buddhism, and having shrines erected in his honour in a vast array of businesses, from police stations to restaurants. Mention apart is the Feng Shui distribution of the temple. 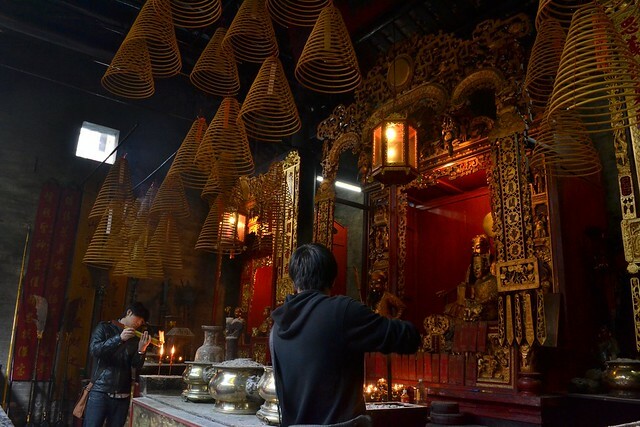 Inside there is a small courtyard with a large bowl where incense and paper offerings are burnt. Beyond there is the main altar with an intricately carved front, the place for the Ritual Vessels. Festivals to Kuan Tai take place in May and June. 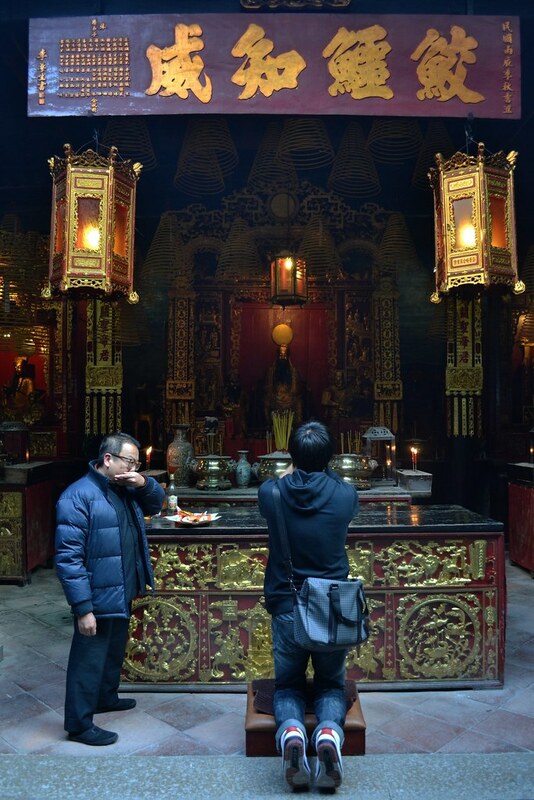 The temple’s keeper and his family use parts of the temple as their home, so if you see an old couple walking around and helping out tourist with their praying, it’s them! The Flickr set on this temple and its neighbourhood. 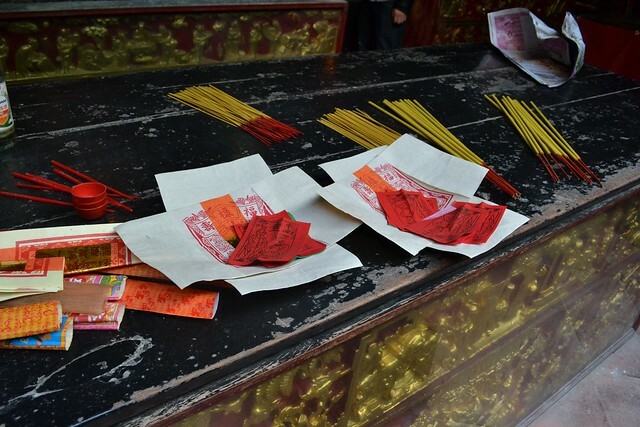 A Flickr gallery on joss paper and hell bank notes, and other offerings. Saint Dominic’s Church (玫瑰堂), a remnant of the Catholic past of the city under Portuguese Empire. 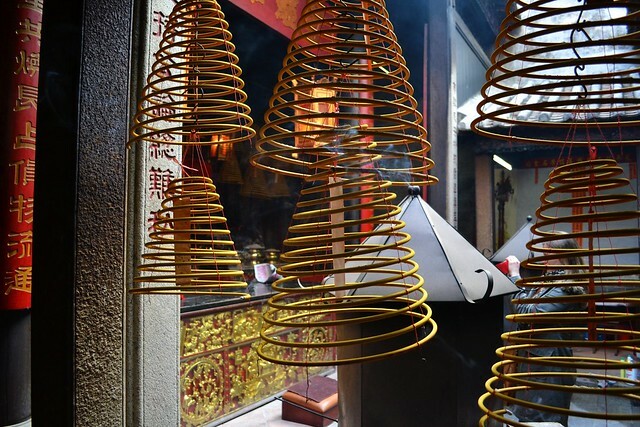 The posts on the traditional religious practises and ancestor worshipping under Taoist and Shenist beliefs.